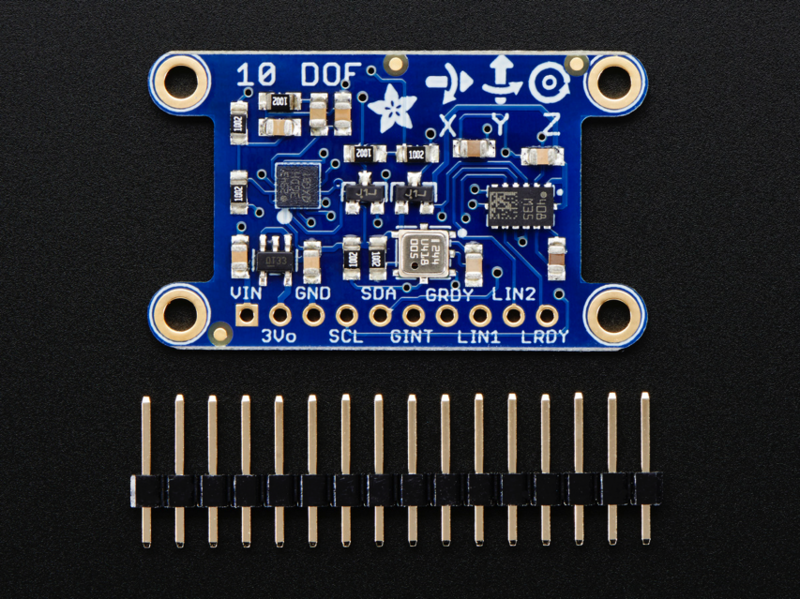 Updated Product – Adafruit 10-DOF IMU Breakout – L3GD20H + LSM303 + BMP180 « Adafruit Industries – Makers, hackers, artists, designers and engineers! This inertial-measurement-unit combines 3 of the best quality sensors available on the market to give you 11 axes of data: 3 axes of accelerometer data, 3 axes gyroscopic, 3 axes magnetic (compass), barometric pressure/altitude and temperature. We tested many different ‘combination’ sensors and found these were the best value, with stable and reliable readings. The L3DG20H gyroscope + LSM303DLHC accelerometer compass + BMP180 barometric/temperature sensors are all on one breakout here, to save you space and money. Since all of them use I2C, you can communicate with all of them using only two wires. Most will be pretty happy with just the plain I2C interfacing, but we also break out the ‘data ready’ and ‘interrupt’ pins, so advanced users can interface with if they choose. A 3V regulator with reverse-polarity protection means you don’t have to worry about frying the boards by accident. There’s level shifting circuitry so the IMU can be used with 3 or 5V logic boards. And check out those mounting holes! 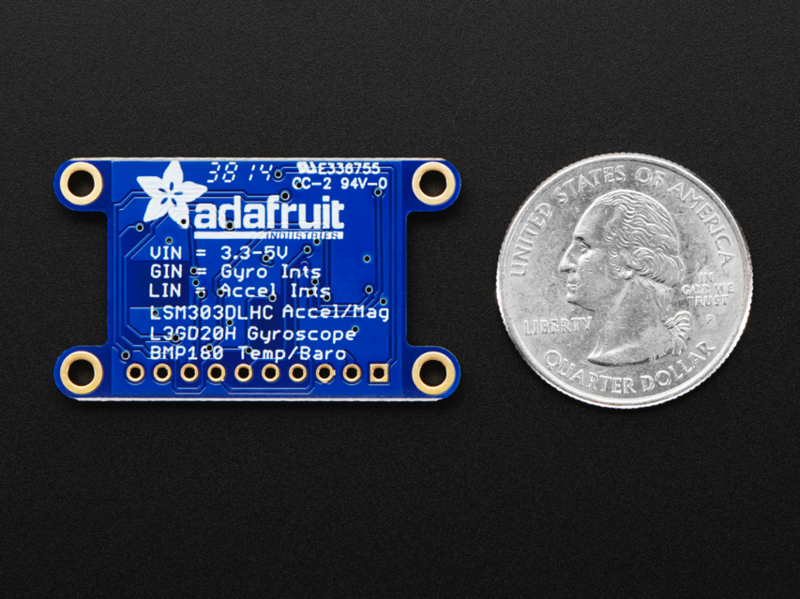 You can securely attach this board to your rocket, robot, art project.